My far reaching goal is to put down either different carpeting or to go to a wood floor. I also would like to repaint the walls in a faux finish of some sort. No choices have been as yet. 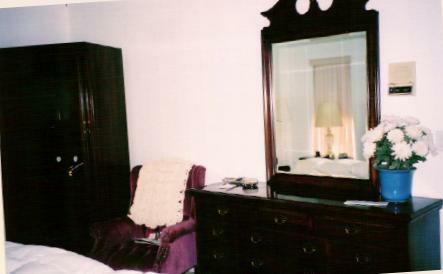 Armoire housing the tv, and chest of drawers, This is one of two wing chair we have in the bedroom. Looking out one of the many doors leading to the pool area. 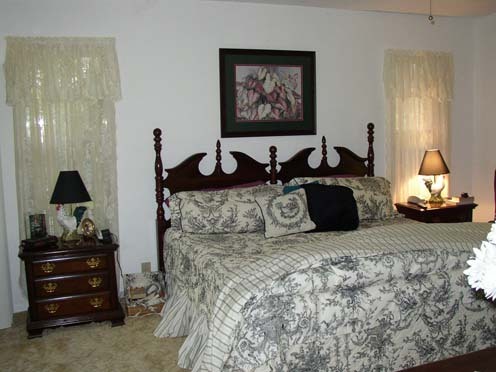 My goal was to decorate this room with a french country flair. 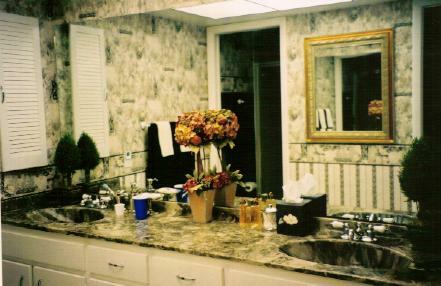 Given the constraints of the colors of the masterbathroom counter top, black and ecru were the colors I needed. I got lucky in finding this comforter set. I have also picked up material to make a matching valance for over the patio doors. Hopefully will have it done in the next few months. 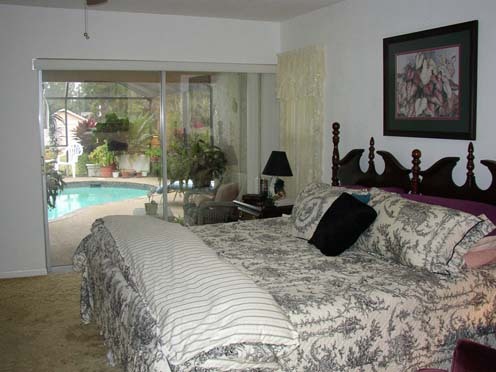 There is a white wicker love seat and coffee table which are in the pool area just outside of these doors. Looking into masterbathroom from an open archway from the bedroom .There is a walkin closet on the opposit wall of the vanity.plus a walkin shower and commode. 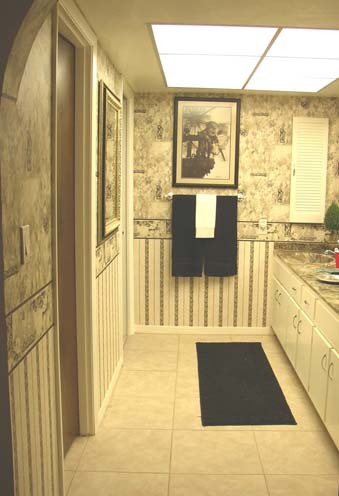 A closer picture of the master bathroom.